Over the past two decades, hundreds of Minnesota law enforcement officers have been convicted of criminal offenses. Most were never disciplined by the state. Jared Taylor choked a man until he blacked out. Steven Brown fired a .38 Special during a confrontation with his fiancée. Tom Bernardson punched a man so viciously that he put him in the hospital with a concussion. All three were convicted in Minnesota courts. And all three still work in law enforcement. They are among hundreds of sworn officers in Minnesota who were convicted of criminal offenses in the past two decades yet kept their state law enforcement licenses, according to public records examined by the Star Tribune. Dozens of them are still on the job with a badge, a gun and the public’s trust that they will uphold the law. The cases reveal a state licensing system that is failing repeatedly to hold officers accountable for reckless, sometimes violent, conduct. In Minnesota, doctors and lawyers can lose their professional licenses for conduct that is unethical or unprofessional — even if they never break a law. Yet law enforcement officers can stay on the job for years even when a judge or jury finds them guilty of criminal behavior. Records also show that scores of the convictions stemmed from off-duty misconduct — including brawls, stalking and domestic altercations — that raise questions about an officer’s temperament for a job that authorizes the use of force. Law enforcement leaders say it’s important for citizens to have confidence that officers are held to the highest ethical standards — on duty or off duty. In fact, Minnesota’s model code of ethics says that officers shall not discredit themselves or their agency either on-duty or off. Yet Minnesota seems to have developed a culture of second chances for those who wear a badge, said Neil Melton, a former Bloomington police officer who ran Minnesota’s licensing board for 16 years. Records also show that Minnesota, once a pioneer in professionalizing police work, has fallen far behind other states on police discipline. Among 44 states with comparable licensing, Minnesota ranks 38th in revoking law enforcement licenses, based on numbers compiled by Seattle University criminologist Matthew Hickman. The national average for revocations is 12 times higher than Minnesota’s. In Georgia, for example, the state board can revoke an officer’s license for committing any act “which is indicative of bad moral character or untrustworthiness.” In Minnesota, revocation almost always requires a criminal conviction. In Oregon, officers lose their licenses for any criminal conviction with an element of domestic violence. The state, which has fewer police than Minnesota, revokes about 35 licenses each year. Today, Minnesota revokes one or two. To assess Minnesota’s performance, the Star Tribune reviewed hundreds of pages of documents from the state’s police oversight agency, the Peace Officer Standards and Training (POST) Board, as well as court records, victim statements and police reports. The review found more than 500 current or former licensed peace officers who have been convicted of at least one crime since 1995. About half the convictions involved drinking and driving. But dozens of others involved more serious offenses, including assault, trespassing and disorderly conduct. Three-quarters of all officers convicted are never disciplined. Only one-fifth of those officers lost their professional license — and half of those cases involved felonies, where revocation is automatic under state law. More than 140 are still on the job. In an interview, POST Board Executive Director Nathan Gove expressed surprise that so many active officers have criminal convictions. Scanning a list compiled by the Star Tribune, he said nearly all the active officers had crimes that fell outside the board’s jurisdiction for discipline. He also noted that the board did pull licenses in the most egregious cases, such as felonies and any level of theft. In response to the Star Tribune’s findings, Gove said, the board is reviewing “approximately three” officers for possible discipline. He declined to name them. 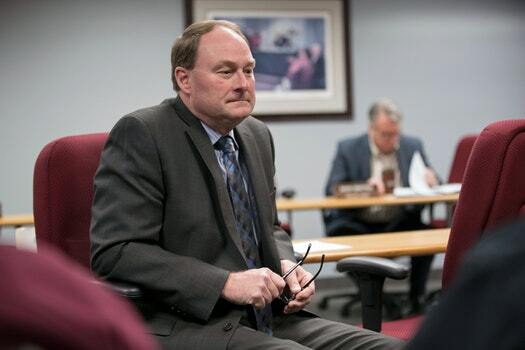 In a separate interview to discuss the findings, the board’s civilian chairman, Tim Bildsoe, said it is time for Minnesota to re-examine the board’s authority, specifically over discipline. Gove said he believes the board’s track record is appropriate for its small size and limited powers. By design, he said, it focuses on training and education rather than discipline, which it largely leaves to local police and sheriff’s departments. The 534 current and past officers convicted of crimes represent just a small fraction of the 10,750 sworn officers on the job today in Minnesota. Thousands of officers complete their careers with pristine records. But police officials and advocates for professional reform say the offenders cast a broad shadow, undermining public confidence toward men and women in uniform and making it harder for good officers to do their jobs. The cases show just how easy it is for a Minnesota officer to avoid state discipline. Thousands of officers complete their careers with pristine records. But police officials and others say the offenders undermine public confidence in all officers. Richard Ohren, a deputy with the Mahnomen County Sheriff’s Office, first came to the POST Board’s attention in 1998, when he was convicted of a gross misdemeanor DWI and disorderly conduct. The board suspended his license for three years. Records show another DWI conviction in 2000 and a third in 2015, when Ohren was pulled over after employees of a Hawley, Minn., gas station called 911 about a drunken customer. He was cited for refusing to take a breathalyzer test, a gross misdemeanor. He pleaded guilty to misdemeanor drunken driving, an offense that does not trigger POST Board review. The county fired him, but Ohren and the police union fought the case, and last year an arbitrator ordered Mahnomen County to rehire him. The county had to apply for a state waiver so Ohren could drive county vehicles without an ignition interlock device, which he’s required to have on his personal vehicle. In another case, Michael Ficken was on duty and in uniform for the Prior Lake Police Department the day he barged into his ex-fiancée’s home, kicked in her locked bedroom door and unleashed a verbal assault, terrifying the woman and a companion. “Every time I see a Prior Lake squad car, my heart drops and I get a sick feeling in my stomach,” the woman said in her victim impact statement. Ficken was convicted of disorderly conduct and fourth-degree property damage, both misdemeanors. Prior Lake Police Chief O’Rourke fired him. Yet the POST Board didn’t take action because it doesn’t consider those misdemeanors grounds for discipline. Ficken is now a deputy in McKenzie County in North Dakota. He did not respond to interview requests. The creation of the POST Board in 1977 made Minnesota a pioneer in police accountability. A series of highly publicized police shootings and protests at the time — similar to the incidents involving Jamar Clark and Philando Castile — galvanized state lawmakers to create one of the nation’s first police licensing systems. Minnesota became the first state to require law officers to hold at least a two-year college degree — a point of pride even today. Since then, however, other states have expanded the powers of their licensing bodies, while Minnesota’s board has continued to emphasize training and education. Today, the range of behavior considered grounds for state discipline in Minnesota is narrower than in many other states — and has gone nearly unchanged since 1995. A felony conviction is grounds for mandatory license revocation, and a gross misdemeanor triggers POST Board review, but not necessarily discipline. For misdemeanors, the board concerns itself with only a select group of crimes. Convictions for misdemeanor drunken driving and 5th degree assault, for example, do not trigger a review. Neither does on-duty conduct such as excessive use of force, even when cities pay tens of thousands of dollars to victims to settle claims. “That’s a big omission,” said Don Moe, a retired legislator who helped create the licensing regime with Bill McCutcheon, a former St. Paul police chief and state senator. The board does have authority to discipline officers for unauthorized use of deadly force in the line of duty. But it appears to have done that only once in the past two decades — in the 1998 case of a Plymouth officer who launched a high-speed chase on Interstate 494 after a shoplifter who made off with 28 cans of baby formula. Roger Goldman, a St. Louis University law school professor who specializes in police licensing, described Minnesota’s grounds for discipline as “very narrow.” The state’s reliance on felony convictions for revocation is “old school,” he said. Many police officers, and many in police leadership, argue that officers deserve a second chance for offenses such as drunken driving or disorderly conduct. Police are human, they say, and they have a tough job. “We’re always on alert, we’re always ready for bad situations. That doesn’t always end when we take our uniforms off,” said Madison Lake Police Chief Dan Bunde, explaining why he hired Jared Taylor despite his 2013 conviction for misdemeanor assault and disorderly conduct. Only a fraction of the police officers convicted of serious crimes in Minnesota are ever disciplined by the state’s top licensing authority, the Minnesota Peace Officer Standards and Training Board. Licensing discipline includes reprimands, probations, suspensions or revocations. Police Lt. Bob Kroll, head of the Police Officers Federation of Minneapolis, said aggressive cops are exactly the ones you need on the street. Likewise, the POST Board’s model policy on professional conduct says officers shall not engage in conduct that discredits themselves or their agency, on duty or off. Grabmeier was never prosecuted, and the POST Board took no action. He’s now a part-time patrol officer in Albany, where he has not been the subject of any complaints. In some cases, inaction by the POST Board leaves an officer free to commit subsequent offenses. Michael Lorsung was police chief of Frazee, Minn., in 2010, when he was put on administrative leave after an ex-girlfriend got a restraining order against him. In a court filing, she accused him of harassing and stalking her. Lorsung resigned but was never criminally charged. The POST Board never took action. Résumé intact, Lorsung moved to Colorado and became marshal of the small town of De Beque. Trouble surfaced again. This time he was charged with felony theft and embezzlement after prosecutors said he hid a Ford F-150 patrol vehicle behind a six-foot privacy fence at his home, titled it to himself, then sold it and pocketed the $5,000. Lorsung was fired and later pleaded guilty to felony embezzlement of public property. In 2016, he pleaded guilty to felony theft in a similar scam with a different truck. He did not respond to requests for an interview. At the POST Board’s offices in St. Paul’s Midway neighborhood, Gove directs a 10-person staff with an annual budget of $4 million, most of which flows to local agencies for training. The Minnesota Peace Officer Standards and Training Board, created by the Legislature in 1977, oversees professional standards and licensing for all law enforcement officers in Minnesota. It has the power to revoke licenses, but it generally leaves discipline to local law enforcement agencies. The board’s 15 members include 10 law enforcement officers, two educators and two members of the public, all appointed by the governor, plus the superintendent of the state Bureau of Criminal Apprehension, who serves ex officio. Gove, a retired Golden Valley police commander, reports to a 15-member board of directors appointed by the governor. State law requires just two public members, and the board is dominated by law enforcement officers. After the outcry over recent shootings of black men in the Twin Cities, Gov. Mark Dayton recently appointed the uncle of Philando Castile, Clarence Castile, to one of the public seats. Potential discipline cases are reviewed by a three-person complaints committee, two of whom must be sworn officers. Its meetings are closed to the public; its decisions are not published except for a mention in the regular minutes of the board. Melton, the retired Bloomington officer who ran the POST Board for 16 years, said there has long been discussion about expanding the board’s discipline authority. But, he said, there’s never been a consensus or any urgency at the state Legislature. Gove said there’s no current interest in expanding the board’s powers and that discipline is handled best by the local police chief or sheriff. “Police are not doing a good job of policing themselves under the current law,” he said. That view is echoed by Michael Quinn, a retired Minneapolis police officer turned ethics advocate and author of “Walking with the Devil: The Police Code of Silence.” Quinn said supervisors are even more reluctant to act when their officers have off-duty infractions. “You can’t let these cops get away with this and say that we have high ethical standards,” Quinn said. Why Minnesota’s board has become an outlier nationally is not entirely clear. Gove believes it’s simply that officers in Minnesota don’t get into trouble as much as they do elsewhere. The state’s two-year college requirement helps weed out problems on the front end, he said. About 60% of the convictions since 1995 involve serious driving-related offenses such as drunken driving, criminal vehicular operations and reckless driving. Hickman said states with low license revocation rates tend to be states with weak regulatory authority, strong police unions and poor methods for tracking misconduct. The bulk of Minnesota’s sworn officers belong to unions. Law Enforcement Labor Services, the largest union, the Police Officers Federation of Minneapolis and the Teamsters all fiercely guard their members’ interests through the courts and arbitration. Officers can tap sturdy legal defense funds when they get in trouble on duty, and for $150 a year, the Fraternal Order of Police in Minnesota covers legal expenses for off-duty problems such as drunken driving. Law enforcement groups are equally aggressive at the State Capitol, say lobbyists who have tangled with them. Minnesota also lacks a rigorous system for reporting misconduct, on duty or off duty, to the state. Any officer charged with a criminal offense is supposed to notify the board within 90 days, but Gove acknowledged that doesn’t always happen. And although local police and sheriff’s departments must notify the board when an officer leaves their employ, it does not require them to say why. In short, the board relies heavily on word of mouth and news reports to learn of officer misconduct. Paul Schnell, who left his spot on the board after retiring as Maplewood’s police chief in June, thinks the board needs a mandatory, central tracking system for all forms of misconduct. State Rep. JoAnn Ward introduced legislation for such a system late in the 2017 Legislature to kick-start discussion. Pennington County Sheriff Ray Kuznia, too, believes Minnesota must enforce high standards. Asked about a Pennington County deputy who lost his license after being convicted of stealing money from a desk in the office years ago, Kuznia expressed dismay that the governor pardoned the man, and that the POST Board issued him a new license. Terry Bayne now works for the Kittson County sheriff in northwestern Minnesota. Granted, the $230 that Bayne pilfered wasn’t much money. That’s not the point, Kuznia said. To assess the record of the Minnesota POST Board, the Star Tribune matched names and dates of birth of licensed law enforcement officers against conviction data from state criminal court records. The POST Board provided names, dates of birth and licensing start and expiration dates for anyone who has held a peace officer’s license since Minnesota’s licensing system started in the late 1970s. The data did not identify where the officers worked or any other details about their job histories. Conviction data came from the Minnesota Supreme Court. For this analysis, the Star Tribune used court records from January 1995 through March 2017, counting misdemeanors, gross misdemeanors and felonies, but only if the conviction came while the officer held a valid license. Traffic violations, petty misdemeanors and hunting and fishing violations were excluded. These stories also drew on police incident reports and discipline records, court documents and POST Board discipline records. When will municipalities insist on teaching police officers Constitutional law, especially the rights of citizens under the Bil of Rights? Imperative that we insist on it.